You might think that it is subjective, or that everyone’s “good life” is different. Bobby loves video games, he can name every character in the Nintendo universe as well as their interests, hopes and dreams. Rebecca loves fashion, she can accessorize like a champion and critique your outfit until you feel like your wardrobe consists of nothing but garbage bags. Does this mean that Bobby’s good life entails a passive income stream that allows him to “Nintendo” to his heart’s content? Or that Rebecca’s is a job as the head of some high-falutin fashion empire? You may or may not agree that these seem like good lives for Bobby and Rebecca. That’s why it’s subjective right? This may be true, but perhaps the good life is actually more objective than we previously thought. This concept has been studied for thousands of years. 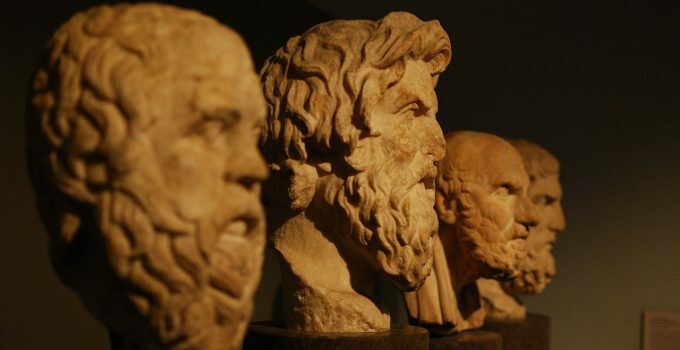 In fact, it was first associated with the work of Aristotle and his teachings on ethics. He claimed that certain classes of individuals could never achieve the good life. Women, slaves, the lower classes, animals, the ill and even the gods were destined for unhappiness. This sounds kind of ridiculous at first glance, but in Aristotle’s time all of these classes of individuals were dependent on someone else. Women had few rights and were dependent on their husbands, slaves their owners, the gods the people and so on. According to Aristotle, the only path to the good life was through independence from their slavers, husbands and overlords. In other words, the key to the good life was through self-sufficiency. Rebecca and Bobby may well be happy with their respective lives. But in reality, Bobby is a slave to his games and the energy and developers that make them possible. Rebecca is a slave to the company that employs her, and the clients that hire her. They are both slaves to the grid that supplies them with power, the stores that sell them their food, the reservoirs that supply them with water, the government for building and maintaining the infrastructure that they use every day and the emergency services for assisting them when they need help. While all of these things are a great source of convenience and comfort, there is no doubt that we as a society have become hopelessly dependent on them. In truth, most of us are Rebecca and Bobby. The world is an unstable place, and there is no guarantee that we will always be able to depend on institutions and corporations to provide the necessities that we need to survive. I’m not suggesting that we should all be shrouded in fear of the world ending- that’s no way to live. Instead, we should take some good advice from one of the smartest people to ever live. We should start to transition away from our dependencies and establish a level of self-sufficiency. In this way, we can live well knowing that we will thrive no matter what happens to our society. Only then can we start to experience the freedom that comes with being more self-reliant, and being better-prepared for what may come. Check out this article The Pillars of Self-Sufficiency for more information on becoming self-reliant. Please leave us a comment or five! We love hearing your stories!